Watching the movie Christmas Vacation has been a Christmastime tradition for as long as I can remember. I don’t remember the first time that I watched it, but I know that I was very young and it was likely on television. Christmas Vacation is National Lampoon’s third Vacation movie. This time, the Griswolds are not going anywhere for vacation. Instead, they have decided to host a big family gathering for Christmas at their house. Like previous Griswold vacations, things do not go as planned and quickly spin out of control. The film was written by John Hughes and directed by Jeremiah S. Chechik. The noteworthy cast includes Chevy Chase, Beverly D’Angelo, Juliette Lewis, Johnny Galecki, Randy Quaid, Brian Doyle-Murray, Julia Louis-Dreyfus, Doris Roberts, Diane Ladd, E.G. Marshall, Miriam Flynn, William Hickey, Mae Questel, and Sam McMurray. The movie is absolutely hilarious! It’s my favorite of the Vacation movies. It’s the ultimate dysfunctional family comedy. It’s everything a family comedy should be, and more. Christmas Vacation is one of the funniest Christmas movies ever made and it’s usually the first Christmas movie that I watch each year. The festive soundtrack and the chaotic family gathering help to give you a feeling of Christmas. There are so many memorable scenes, brilliant dialogue, and one-liners. The comedy is sarcastic and poetic. Chevy Chase and Randy Quaid both give unforgettable performances. 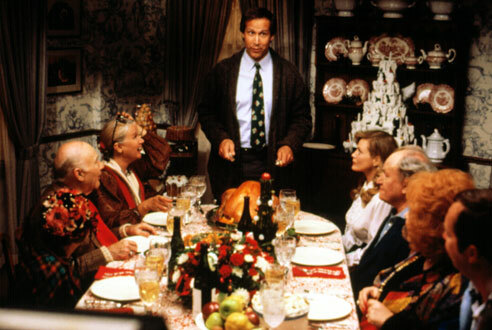 Christmas Vacation is easily each actor’s best and funniest movie. The film has a very obvious John Hughes feel to it. Even though Hughes didn’t direct, he still wrote and produced the movie. 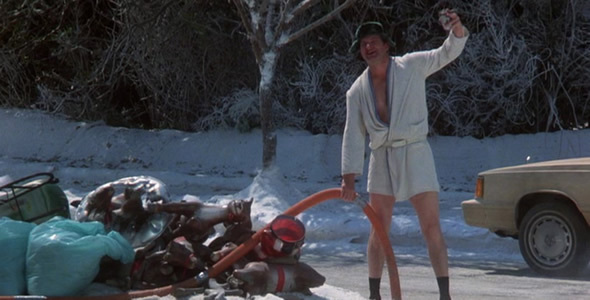 Christmas Vacation is a timeless Christmas classic. I’ve seen it dozens of times and it never gets old. It’s one of the funniest Christmas movies ever. It always puts me in the Christmas spirit. 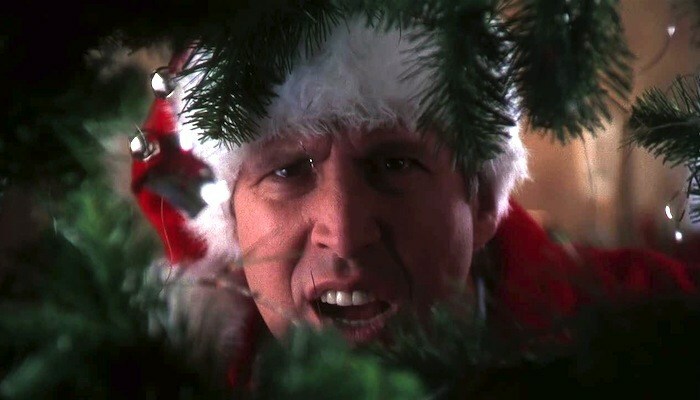 Christmastime is not complete without watching Christmas Vacation. Buy, rent, or run? Buy it and make it a part of your holiday tradition. Posted on December 4, 2013, in Comedy Movie Reviews and tagged Beverly D'Angelo, Brian Doyle-Murray, Chevy Chase, Christmas Movie, Christmas Vacation (1989), Diane Ladd, Doris Roberts, E.G. 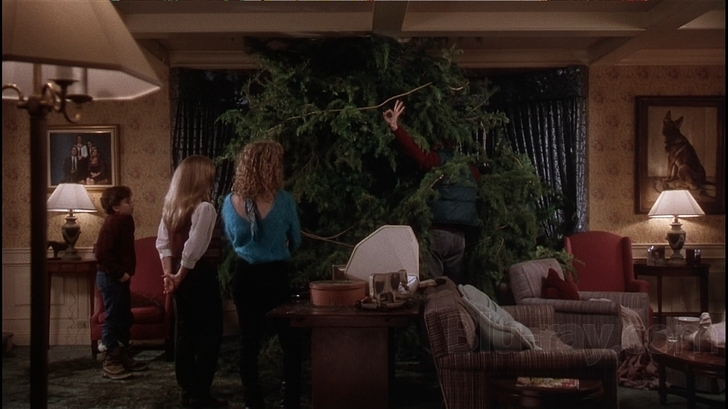 Marshall, Jeremiah S. Chechik, John Hughes, Johnny Galecki, Julia Louis-Dreyfus, Juliette Lewis, Mae Questel, Miriam Flynn, National Lampoon's Christmas Vacation (1989), Randy Quaid, Sam McMurray, William Hickey. Bookmark the permalink. 4 Comments. I don’t remember it being so funny, guess I’ll have to re-watch it one of these days. It’s just classic. 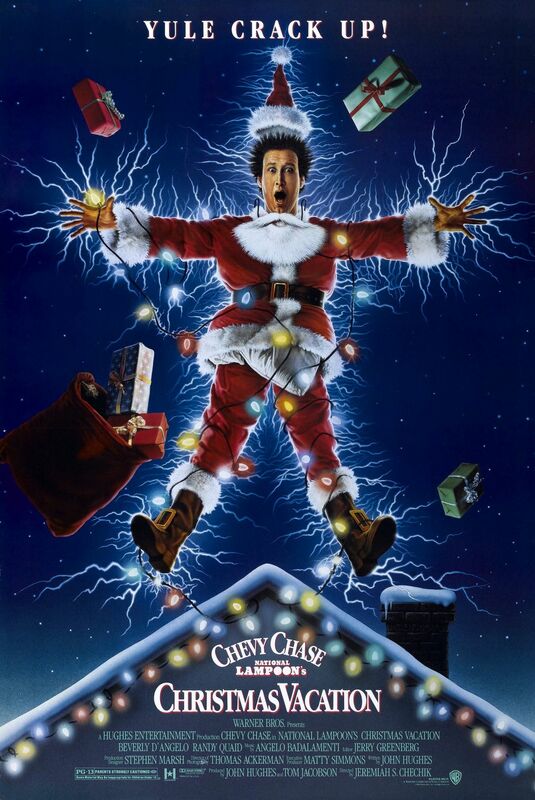 Chevy Chase plays his part perfectly and it’s John Hughes comedy all the way. I’ve never seen this one but now I must. That’s surprising because of how often it’s on tv. If you like Chevy Chase, then you should enjoy it. Thanks for commenting, Pierre!